Satellites will boldly launch into orbit from Canada for the first time in 2020 when the country’s first spaceport commences operations from the tiny fishing village of Canso, Nova Scotia. According to plans from Maritime Launch Services Ltd., the 400-year-old town, made up of 500 people, will host launches of Ukraine-made Cyclone 4M rockets carrying commercial satellites into orbit. The town was chosen for its unique geographic location, the deep point of a sizeable cove with most of the North Atlantic as its backyard, and its proximity quality infrastructure. Learn more about aerospace insurance here. 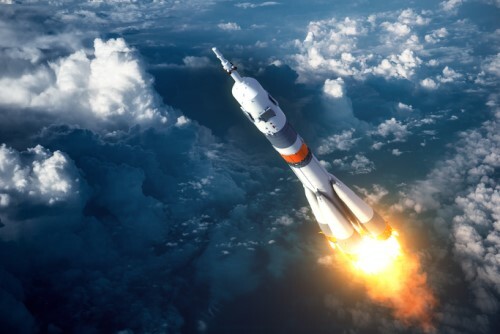 Maritime Launch Services Ltd. is based in Halifax but is a venture of 14 American companies who chose Canso out of 14 other North American locations and plan on constructing a rocket launch pad and a command centre. All of this is putting stars in the eyes of space enthusiasts, catching the skeptical eye of local residents and giving insurers an opportunity. One provider who’s covered the Cyclone 4M rockets is XL Catlin and their head of head of space underwriting, Chris Kunstadter, said everything from the payload to third party liability is available. “There have been a few accidents at launch sites in the past five years, where either during preparations for launch or immediately after launch there has been damage to property in and around the launch space. It’s obviously not a trivial risk,” Kunstadter said. Kunstadter explained that each country develops its own launch licenses that include Maximum Probable Losses - and the operator must provide proof of their insurance capability to cover those losses. Though Kunstadter mentioned Canada has previously launched rockets for atmospheric testing from the coast of Hudson’s Bay, this project will mark the first time Canada is liable for space-bound ships. The many moving parts of constructing satellites, rockets, running a launch operation and designing the whole feat of final frontier-trekking, means each stage of space exploration needs coverage. Environmental impact studies, and other regulatory analysis by the Canadian government, will determine what standards Maritime Launch Services Ltd. needs to meet - and the company’s CEO, John Isella, promised not to send satellites into space during lobster season. Liabilities for the impact on nearby regions of Nova Scotia, and indeed the world, are all part of the space insurance equation.